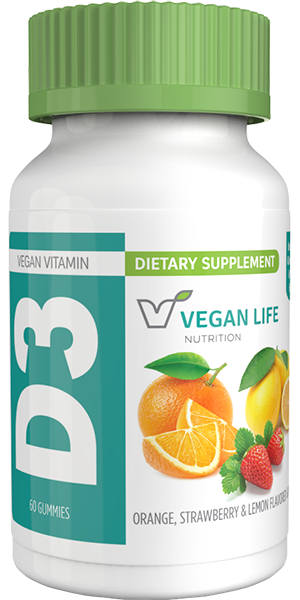 The only vegan vitamin D3 in a gummy is Here! Also available as a spray and gel caps. 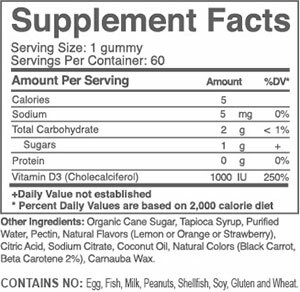 Each gummy contains 1000 IU of Vitamin D3. 60 gummies per bottle.